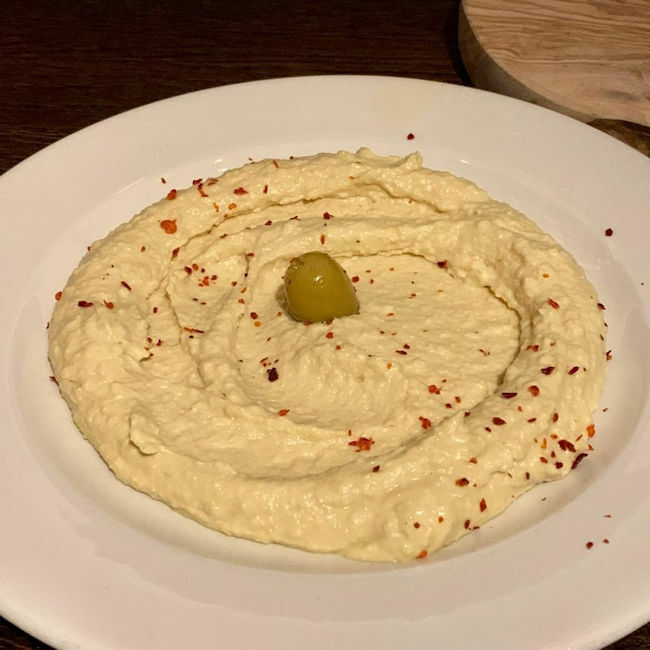 Deansgate has been adorned with a new Turkish/Middle Eastern restaurant, in the former Prezzo site. 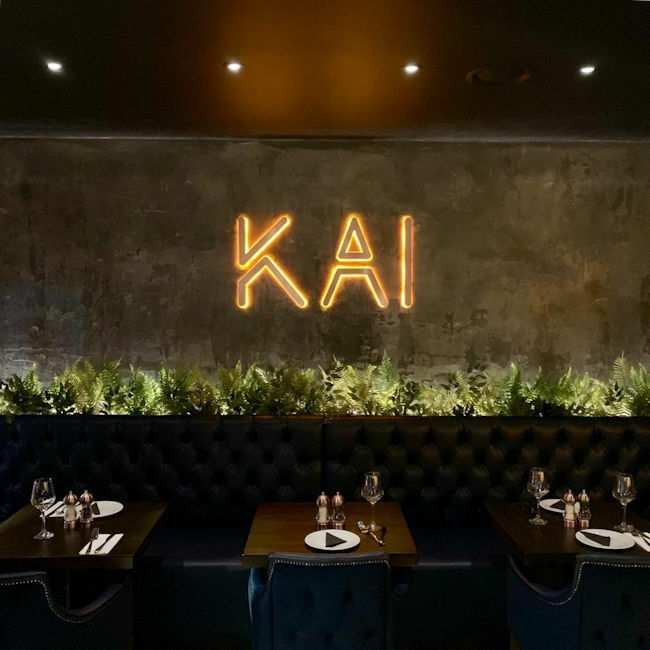 Kai is currently going through a pre-launch phase ahead of their imminent press launch and full opening, but we called in to see what's to be expected once things get properly rolling. 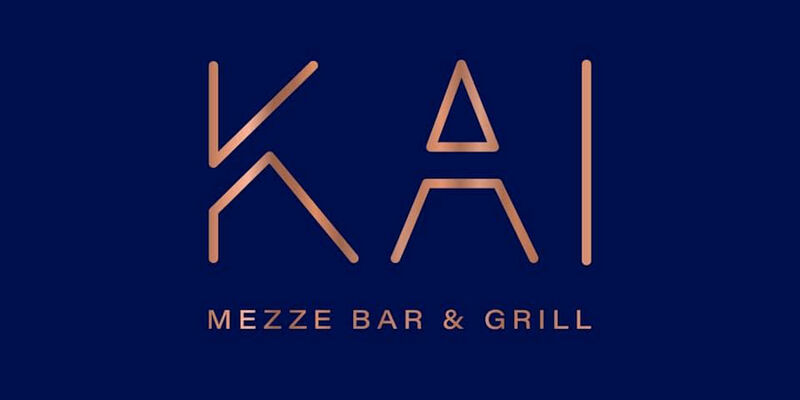 We can't think of a massive number of independent restaurants on Deansgate, so Kai is a welcome addition in that sense. 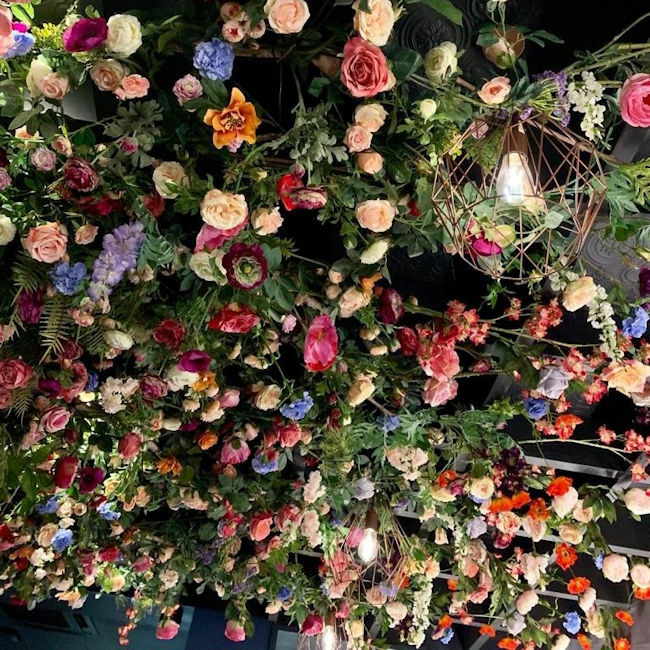 The décor has moved on a lot from the Prezzo days, with striking floral designs embellishing the ceilings and doorway as you enter, with striking seating, moody lighting and a very slick look, even ahead of decorative completion. 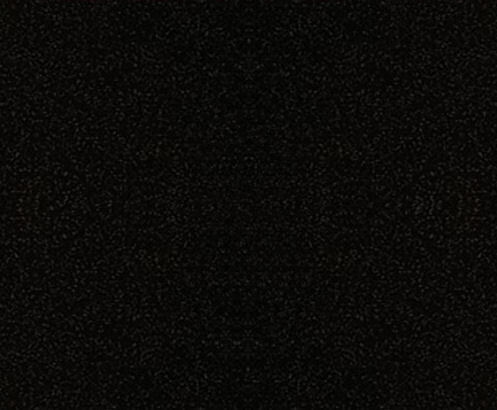 The menu is a compilation of well-known Turkish and Middle Eastern classics. 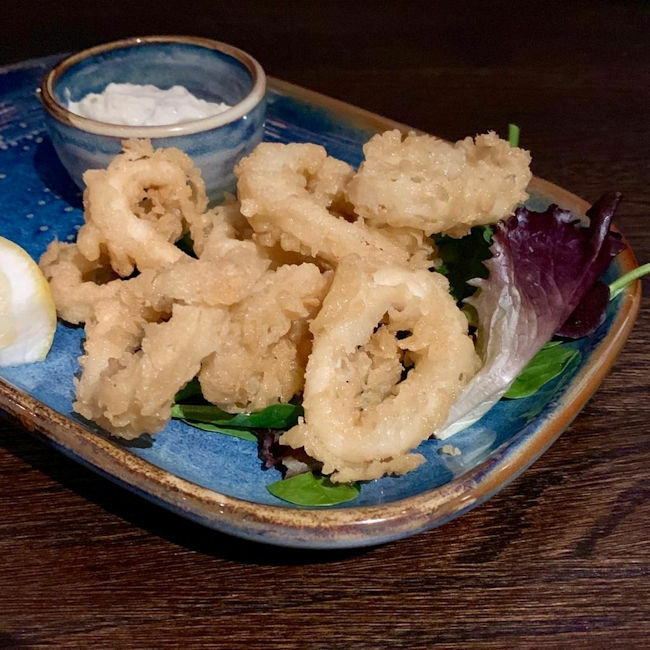 We started with some hummus, and freshly baked complementary black sesame flatbread, Chargrilled Halloumi and Calamari. 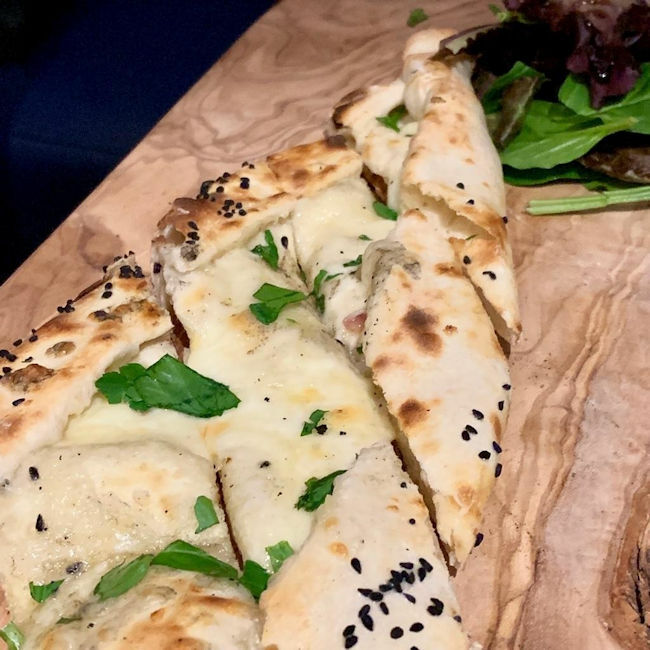 It was exciting to see Pide on the menu; which are basically Middle Eastern pizza type breads, dating back well before the Italian variant. Only these are in the shape of a rugby ball, filled with a choice of cheese, meat or vegetables. 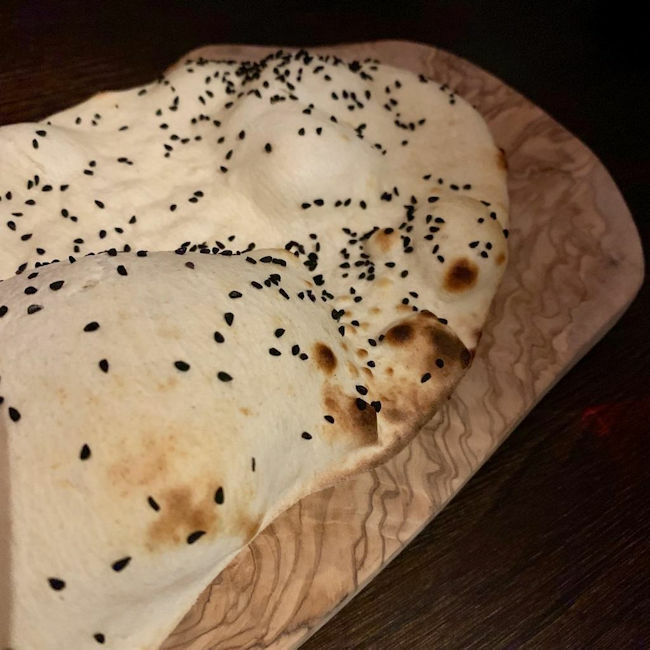 We can't think of anywhere else in Manchester who sells Pide at the moment either, which is without question a unique selling point for Kai. 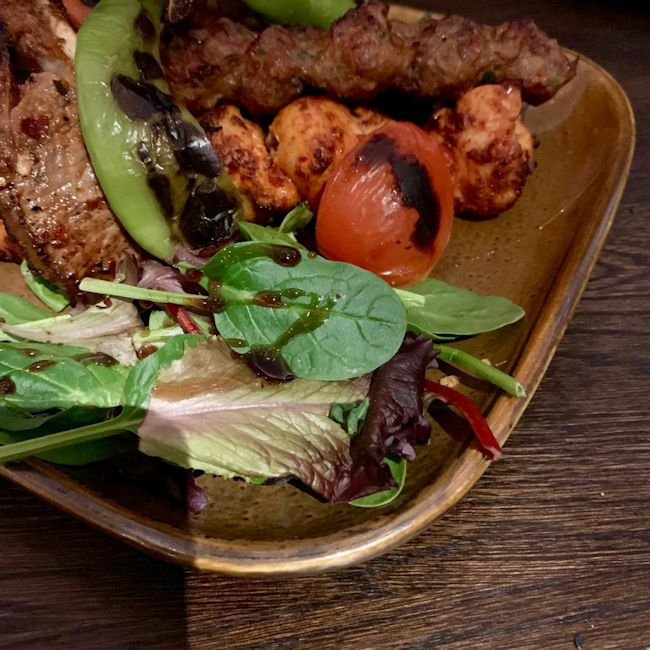 Next up was a mixed grill showcasing their charcoal oven, containing chicken, lamb shish, lamb chops and flavoursome kofte kebab. The grill platter was garnished with some bulgur rice, a mixed salad, and some chargrilled peppers. 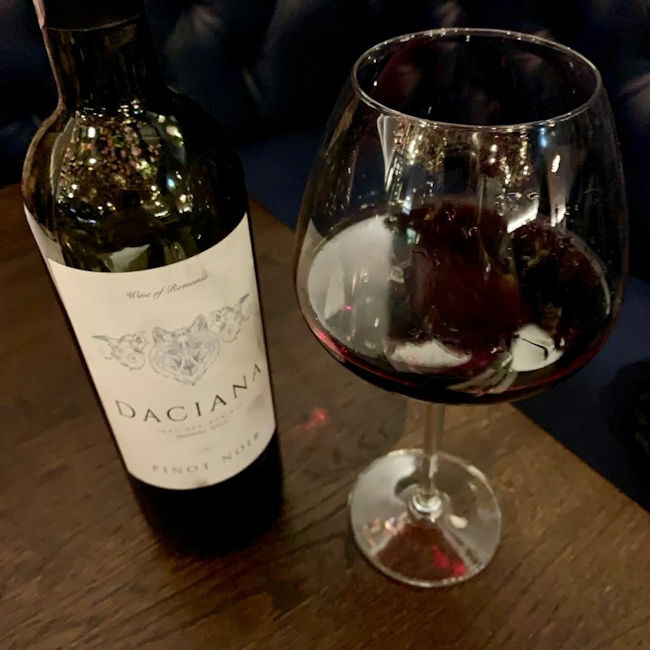 The wine list was also good value, with our excellent Romanian Daciana Pinot Noir (£18) working well with the charcoal flavour of the mixed grill. Desserts are still being picked for inclusion on the menus but we got to sample the strawberry cheesecake, and hear that they will be offering Baklava once fully open.